Reflecting Yoshimoto Kogyo's dedication to comedy, "World Wide Laugh" is a competition of Yoshimoto Kogyo's new international genre "Comedic Video Contents." The only rule is that "it must make people around the world laugh without translation." The entries (under three minutes) will be shown on the internet and viewed by people around the world. The selection committee will be appointed from judges of many different countries and mother tongues. A prize of one million yen will be awarded for the production that wins the Grand Prix, along with recognition as a Yoshimoto Kogyo ‘geinin2’. Express without using words the joy of the moment when you score a goal. Anyone can submit a production for the World Wide Laugh category, provided that it meets the following conditions. 1．A video which can make people of any nationality laugh even without being translated. 2．Subtitles may be used, but the film should not rely on them. 3．The running time of the video is no more than three minutes. 4．Please specify a title in English. The production that wins the Grand Prix will be recognized as a Yoshimoto Kogyo 'Geinin2'. *A single individual may enter as many submissions as they like. * Applicants whose work is highly regarded may be contacted directly by the OIMF office. Also, applicants should keep an original copy of their submitted work. Submitted works may be screened at the 3rd Okinawa International Movie Festival. In this event we may ask to borrow the original copy. 1．The Okinawa International Movie Festival will retain the rights for the screening, reproduction, broadcasting, and public transmission of all productions submitted, insofar as is necessary for the staging and promotion of the festival and the judging of entries in the prize categories. The submission of an entry to the festival signifies agreement with these terms and conditions. 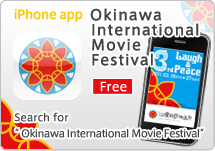 In addition, submissions or descriptions of the judging process may be shown or published in media, at events, in collections, or in publicity materials produced, published, or operated by the Okinawa International Movie Festival or by a third party which has obtained the consent of the Okinawa International Movie Festival. 2．.Entrants submitting productions guarantee that they will not infringe the copyright, image rights, publication rights, or any other rights of third parties, and that they will not hinder any secondary use of submissions in the form of broadcasting (including cable broadcasting), public transmission, or transfer to media such as DVD, provided that the neighboring rights of performers who appear in the submissions are fully respected. If music is used in a submission, the permission of the copyright holder for the composition concerned should be obtained and the original audio source used—not a commercial CD, record, or tape. If the use of a commercial audio source is unavoidable, the title of the composition concerned, the names and nationalities of the composer and lyricist, the title of the CD used as the audio source, and the name and nationality of the producer of the CD should be supplied, as requested by the festival secretariat. If an audio source such as a commercial CD is used in contravention of the relevant provisions, with no permission having been obtained for screening and public transmission by the festival, the production in question may be screened or publicly transmitted without audio, excluded from screening, or stripped of any prize awarded to it. 3．Submission period: the submission period lasts until Wednesday 4 March 2011. Video submissions that are uploaded after the expiry of this period will not be judged. 4．Videos for 4.which submission is prohibited: any submission that is adjudged by the festival secretariat to fall into one of the following categories on the basis of its content may be excluded from screening or stripped of any prize awarded to it. •The concept or means of expression of the submission is the same as, or similar to, a production that has already been released. •A third party’s rights (such as copyright, the personal rights of the author, image rights, trademark rights, reputation rights, or privacy rights) are infringed. 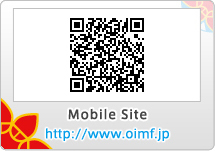 Please note that submitted videos will be posted on the official website of the Okinawa International Movie Festival. They will also be uploaded - along with their title and the applicant's name - on a number of video sharing websites' World Wide Laugh pages, to be viewed by as many people as possible. 1) This agreement was originally drawn up in Japanese, and the Japanese version takes precedence over any translated version in a different language. 2) Any legal issues relating to competition submissions or other productions screened at the festival shall be resolved in accordance with Japanese law. In the event of a dispute between the parties involved, the case shall be subject to the jurisdiction of the Tokyo District Court in Japan as the court of first instance. 3) The arrival at the organizer’s secretariat of a production submitted in any competition category indicates that the entrant consents to, and will comply with, this agreement. 4) Once an entrant has received notice that the festival has decided to screen their production, they may not cancel the festival screening. 5) If a third party becomes a stakeholder in a production that has been already selected for screening (for example, if the production acquires a new distributor), said third party may not contest this agreement. Any video submission which does not fulfill the terms and conditions stated above will be disqualified, and will be deleted from the related websites. When submitting a production, an entrant must complete the proper procedures regarding use of copyrighted material and any other rights issues that relate to the production. In the event that a third party claims that their rights have been infringed or makes a claim for compensation for damages, the entrant must take responsibility for dealing with it themselves. The organizers of the festival can take no responsibility whatsoever.